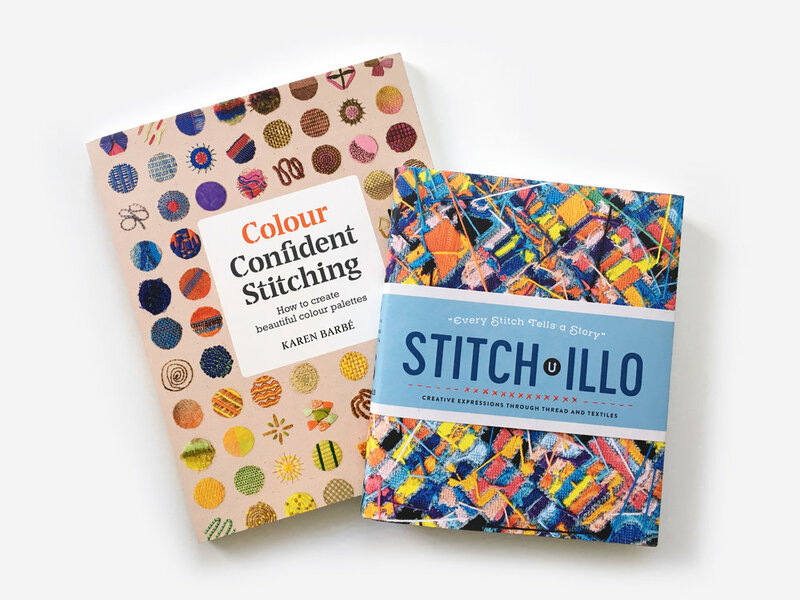 If you've been reading Stitch*illo, you've likely been enthralled with Karen Barbé's work. Located in Santiago, Chile, Karen's skills as a textile artist (and designer and photographer) are impressive. I was so thrilled when she agreed to be part of Stitch*illo. 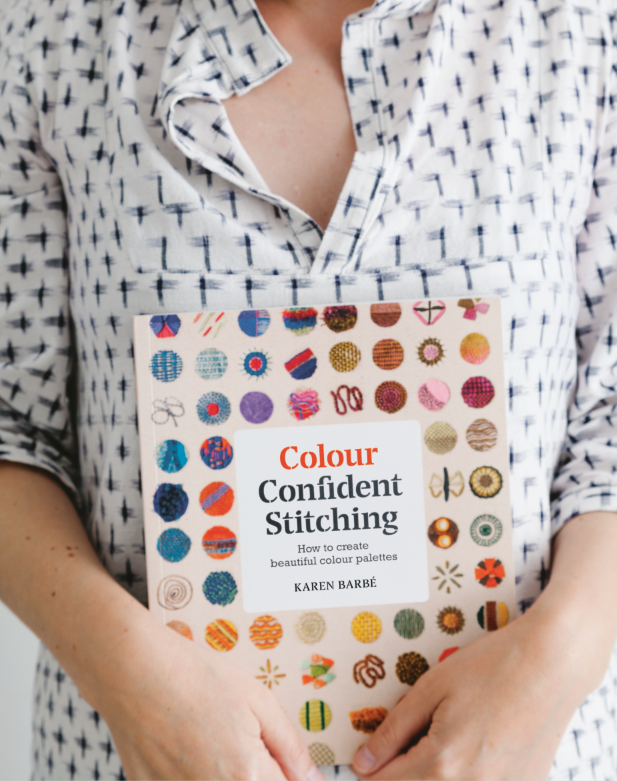 If you want to delve into Karen's approach to colour and design, I recommend her book Colour Confident Stitching. Karen's opening spread in Stitch*illo. 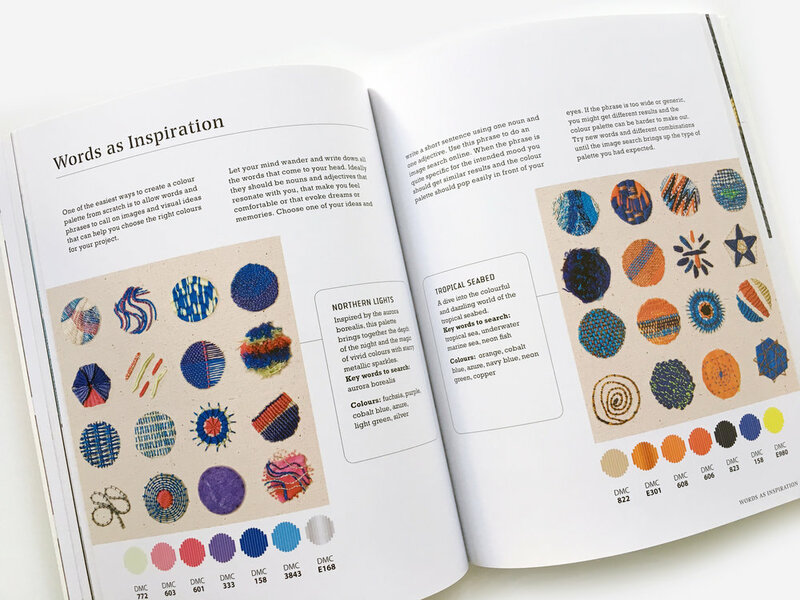 Karen says that through her stitches she translates the worlds of home, crafts and comfort onto textile surfaces. “As an embroiderer I find a deep connection with a vast tradition of needlework, which I contribute to with a fresh look thanks to my design background,” she says. 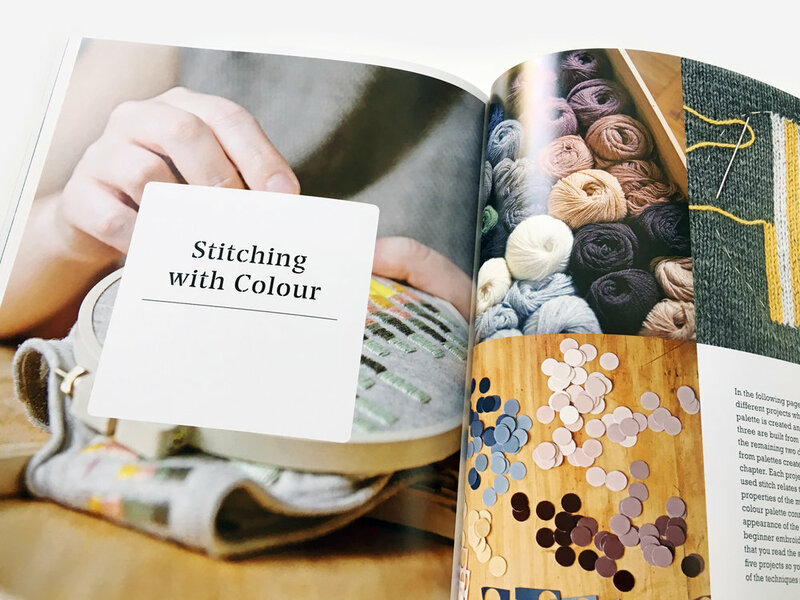 Colour Confident Stitching has beautiful colour palettes to inspire your own work. 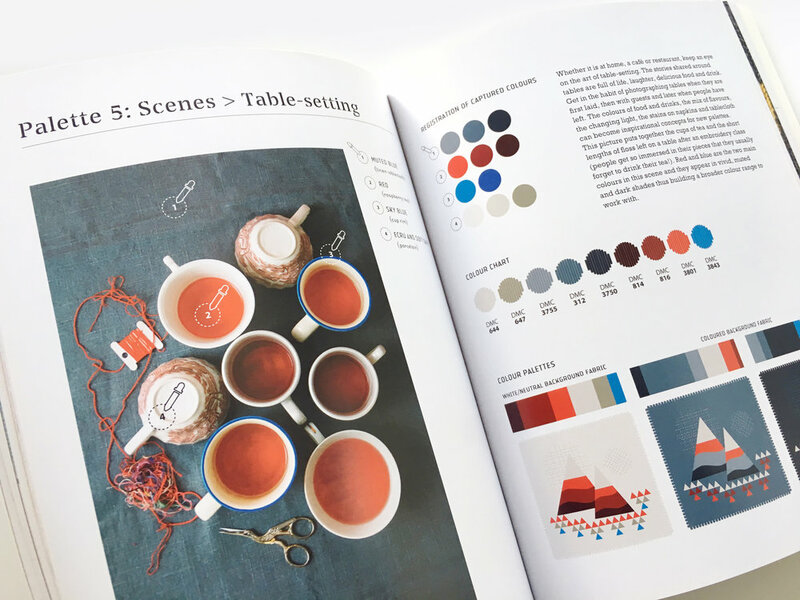 A spread from Colour Confident Stitching.